Cary Grant & Randolph Scott. 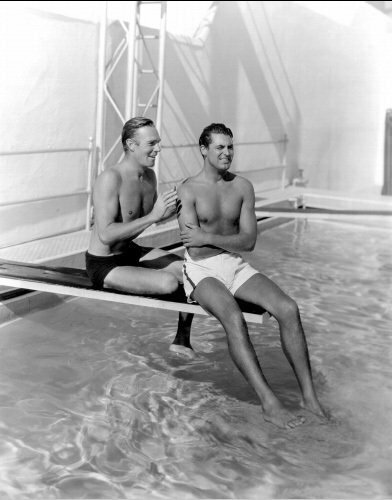 Buddies Randolph Scott and Cary Grant at the pool. . Wallpaper and background images in the Classic Movies club.